Dr. Lolland has 20 years of experience in California community colleges. She is the Vice President of Academic Affairs at Hartnell College. She previously served as vice president of Academics and Student Services Yuba College, where she led instructional and student services. She previously worked for 19 years at Sierra College, where she became dean of the Business, Applied Academics and Physical Education Division. Prior to moving into administration, she served as a business instructor at Sierra College. 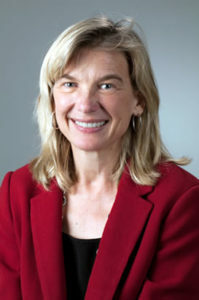 Dr. Lolland also has 11 years of business experience at small, medium and large companies, including Arthur Andersen & Company, First Nationwide Bank and Verio, Inc. She holds a doctoral degree in educational leadership from the University of California, Davis, a master’s degree in business from California State University, and a bachelor’s degree in economics from the University of California, Davis. Tapping into her experience, she serves on the board of the California Community College (CCC) Athletics Association and on the Statewide Advisory Committee for the CCC Maker Initiative.